APIs are all around us, driving the digital world and largely responsible for some pretty astounding industry disruption. Just as important is the interlaced economy supporting these services. Read The API Economy to learn how to navigate through this ever evolving, now diversified industry. In 2006, the most predominant form of digital social communication was still email, and AOL instant messenger. A decade later, things have obviously changed quite rapidly in the face of higher bandwidth, greater capabilities, and the explosion of social media. Software-as-a-Service is an area that is growing exponentially. The digital platformification of older industries, paired with new advances in the Internet of Things (IoT) makes the API space — the powerhouse driving Internet connectivity — ripe for investment. APIs, or Application Programming Interfaces, are an important cog in this process, and the market surrounding them is thriving. APIs encourage standardization — have you ever used Twitter to log in to a third party application? They extend functionality so that more potential is at our fingertips — how often do you query a map embedded into a web application? By exposing assets to developers to create new apps with, APIs also inspire innovation, promote data matter experts, lead to creative projects, and subtly increase the end user’s experience. APIs, in the family of SaaS (Software-as-a-Service) products, are part of an agile business methodology, which for the provider, can create entirely new revenue streams. Also an accelerator for corporate communication — the industry routinely uses Amazon Web Services as a the hallmark of internal API adoption and the efficiency benefits therein. APIs can be used to open new monetization streams, but API-first companies have emerged that are entirely built on treating their API as a product. Twillio, Algolia, Contentful.com, and others are examples of companies that are exposing an API as their main product. But as John Donne says “No man is an island.” Every product we purchase is the culmination of a lot of group effort. Even something as simple as an apple is full of dependencies. A grower must rely on the seeds to sprout, purchase fertilizer, buy from land owners, hire pickers and distributors, work with retailers, and pay utility providers — all to produce a single fruit that the end consumer haphazardly throws into a shopping cart. The API space has produced an economy in it’s own right. There is obviously the monetary exchange from developer user to API provider. But looking deeper, partners to API programs have emerged that offer key components to support an API throughout it’s lifecycle, streamlining operations for the API provider and improving their overall developer program. Whether it be marketing, development, documentation, metric analysis, security, and more, new microservices and platforms are available to smooth an API’s creation and maintenance. This additional layer is strong evidence of an industry maturing. If you are a programmer looking for some code samples, this eBook may not be for you. This is the API Economy, the business of APIs. 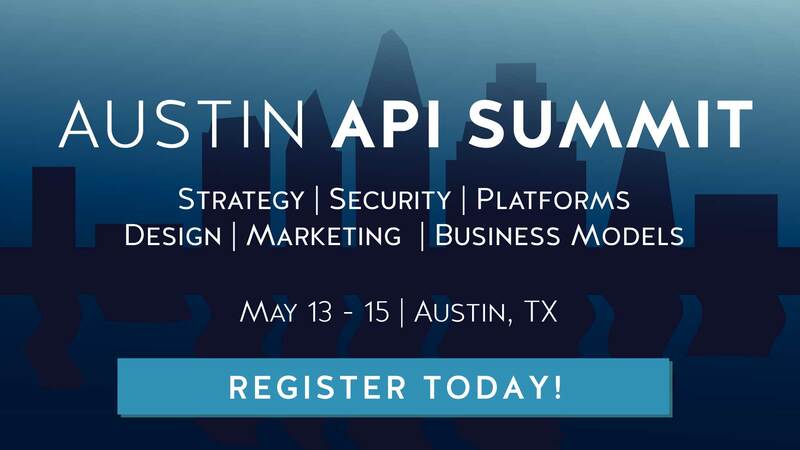 We’ll forecast into the future growth of the API industry, analyze the impact APIs have historically had on specific industries, and see where existing APIs as well as partners to API providers fit into the overall spectrum. Something really cool that this volume explores are specific sectors that have not yet been API-fied (entrepreneurs — hint hint). The book is FREE to download straight from the Nordic APIs eBook page. However, if you would rather pay, you can purchase the eBook through Leanpub and name your price. It’s also available for Kindle on the Amazon store. All proceeds from the sale of this volume (as well as all other Nordic APIs eBooks) go straight to supporting the Red Cross in Sweden. Thank you to our writers and readers for making this release possible! If you want more, head over to our eBooks page to check out The API Lifecycle, Securing the API Stronghold, and other titles. We will continue to update the API Economy as the tides of the digital wave ebb and flow. In the near future, however, we turn our focus to DevOps for our next release— API-Driven DevOps. The eBook will analyze tech trends in that sphere and offer advice for fine-tuning development-to-operations synchronicity. So, stick around. Track our progress on Leanpub, and join our newsletter to be notified of future eBook releases.